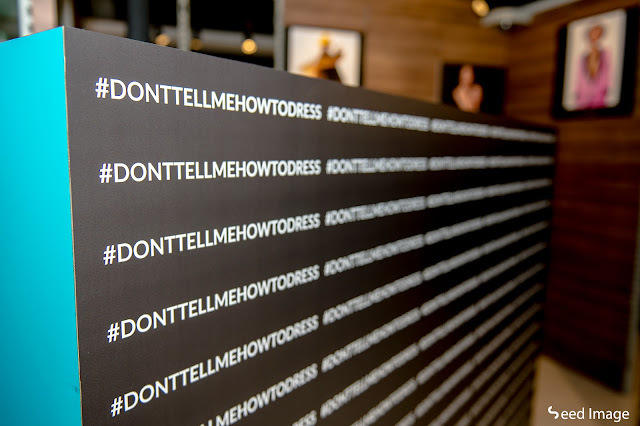 #DontTellMeHowToDress is an exhibition which questions society’s position that a survivor is somehow responsible for instigating sexual violence because of the way she acts or dresses, and seeks to show how sexual violence may be inflicted on anyone, regardless of how they are dressed. With support from the Association of Women for Action and Research (AWARE) and its Aim For Zero campaign to end sexual violence, on exhibit are typical items of clothing worn by survivors of sexual violence in Singapore. Most survivors do not own clothes from the time of the incidents as it does not support their journey of recovery and some articles of clothing are submitted as evidence when they lodge a police report. 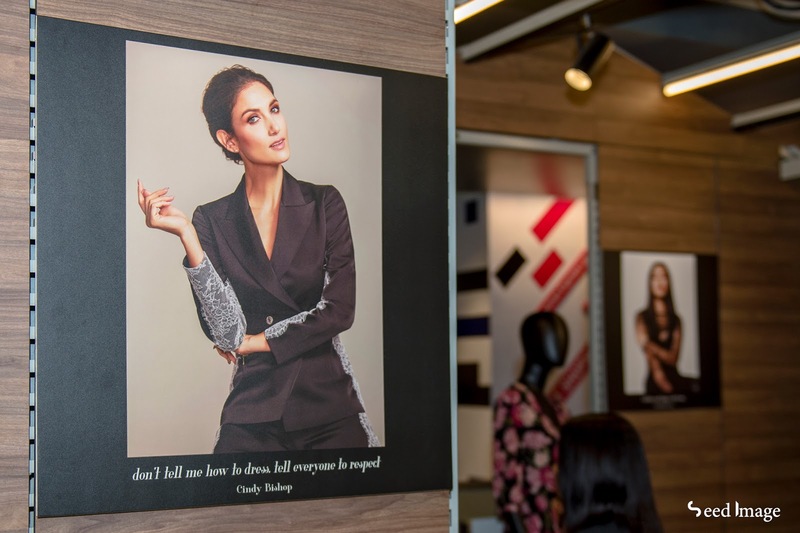 Also on exhibit will be portraits of celebrities and luminaries who support the cause, and other interactive elements that tackle the theme of sexual assault and the subsequent shaming of these survivors locally and across Asia. AWARE has fought for gender equality for 34 years through dedicated research, advocacy, and support services for women in need. 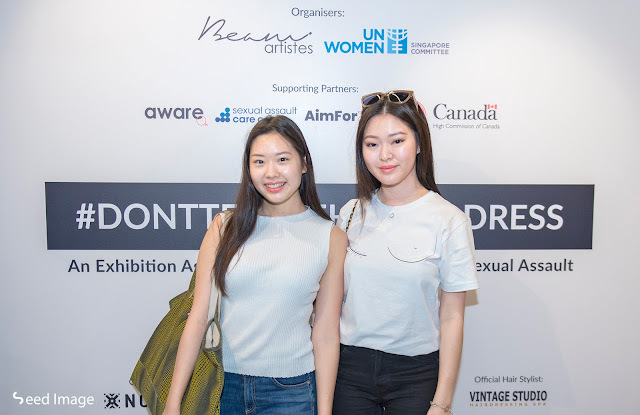 This exhibition would not have been possible but for the support and cooperation of AWARE, who connected the organizers with the survivors featured in #DontTellMeHowtoDress. "I am deeply grateful for the important truths that this exhibition can potentially illuminate. There are many myths around sexual violence, many of them rooted in shaming and blaming survivors, and attire is one disturbing aspect of this. The truth is, we need to destigmatize sexual violence and re-focus the discussion towards understanding and practicing consent. We, together as a people, need to realize that sexual violence has always been everybody's issue, it is important for every community, no one is an exception. I believe that as a society we can do better. It is within our power to leave the world a safer, more caring place for ourselves and the children that will come after us. 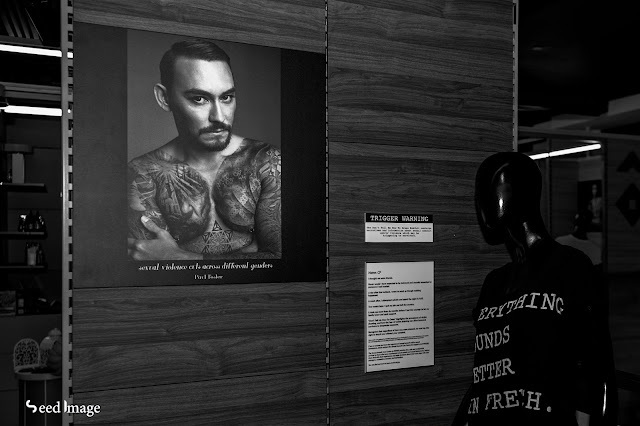 The survivors involved in this exhibition are thankful for the support each of us received from AWARE." - Pamela Ng, one of the featured survivors. Singapore is the third country to host this exhibition, following the hugely positive reception and public endorsement in Thailand and the Philippines. The exhibition is the physical component of the larger #DontTellMeHowToDress campaign on social media, started by Ms. Cindy Sirinya Bishop, a model and actress in Thailand, most well known across Asia as the host of “Asia’s Next Top Model” – the hit reality series. Herself a survivor of sexual harassment, Ms. Bishop was appalled by the Thai government’s directive for women to either dress appropriately or risk sexual violence. She believes that women should have the right to choose how they dress and remain safe at the same time. In response to the Thai government’s directive, she started #DontTellMeHowToDress. The campaign as a whole serves as a platform for survivors’ stories to be heard, and an avenue to educate that help is available. Ms. Bishop has partnered with Beam Artistes to bring her exhibition into Singapore. 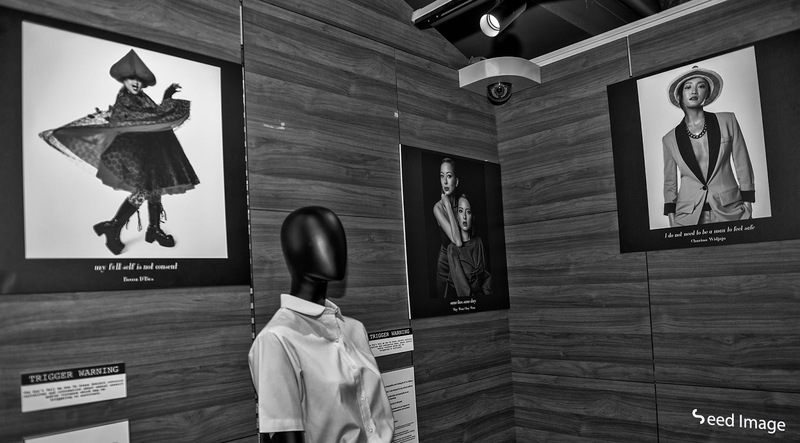 Just like in Thailand and the Philippines, the exhibition is launched in collaboration with a UN Women network organization. Here in Singapore, the collaboration is with the Singapore Committee for UN Women. The exhibition will be held at NomadX (Level 3, Plaza Singapura) from 28th March to 21st April, 10 am – 10 pm daily. 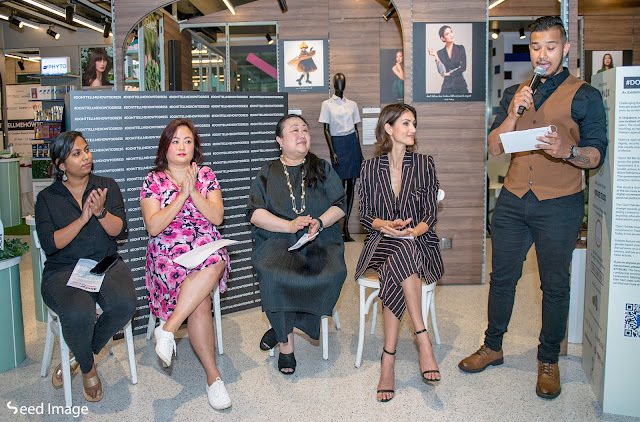 Singapore celebrities who have pledged their support for the project include Paul Foster (Actor, Host & Model), Wallace Ang (Actor, Host & Singer), Gina Tan (Actress, Model & Singer), May Wan (Actress & Host), Choy Wan (Actress & Host), Christabel Chua (Influencer), Sylvia Chan (Co-Founder of Night Owl Cinematics, Forbes 30 under 30), Charina (Managing Director of Digital Fashion Week), Becca D’Bus (Drag performer), Sonia Chew (Radio/TV Personality), Eunice Olsen (TV Presenter/Media Entrepreneur) and more. #DontTellMeHowToDress (Singapore) is headed by Cindy Sirinya Bishop and organized by Beam Artistes, with the strong support and endorsement by AWARE, UNWomen, the High Commission of Canada in Singapore, Women on a Mission, NomadX, Cocoloco, 7th Capital, Vintage Studio, Collabtive, Loud Kitchen, Digital Negative, Firefly Photography, Laneige, HERA, Mamonde, Love Blush, Print Lab and Violet Foo Styling. Beam Artistes is Singapore’s premier talent agency which proudly represents established celebrities and promising up and coming new talents. Through their rigorous talent process, they ensure a constant supply of the best talents in Singapore for a wide range of products that includes motion pictures, television programmes, commercials, endorsements, industrial videos, print work, and events. More information on our artistes may be found at www.beam.com.sg. 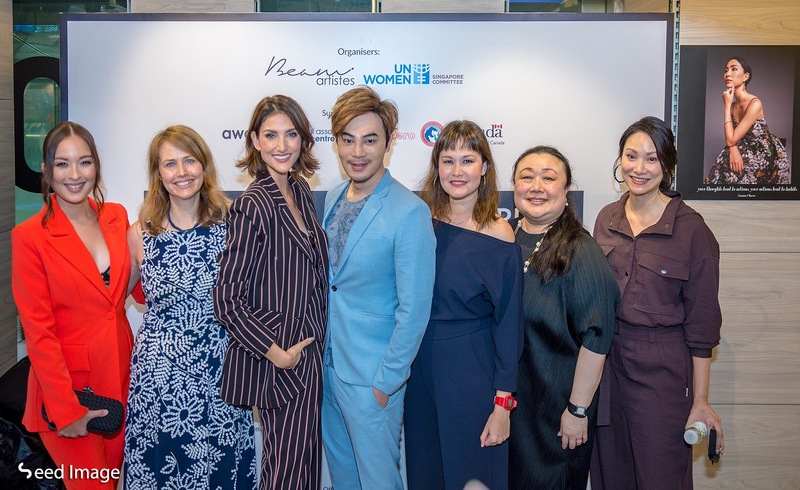 AWARE is Singapore’s leading women’s rights and gender-equality advocacy group. It works to identify and eliminate gender-based barriers through research, advocacy, education, training, and support services. Aim For Zero is AWARE's national campaign to press for collective support for survivors of all forms of sexual violence. This campaign calls on people from all walks of life – employers, parents, social workers, educators, bystanders – to build a culture of support and ensure that their communities have zero tolerance towards sexual violence. Singapore’s first ghost-zombie romance comedy! The movie tells the story of Pong (Nathan), who turns into a zombie when saving his town from a disaster. He led a mechanical and aimless life until a female ghost named Zhen Zhen (Ferlyn) came into his life. Zhen Zhen, whose pet phrase is “If you have no dreams, you are no different from a walking zombie.” believes one should live life to its fullest. The hilarious drama unfolds when Zhen Zhen possesses Pong to fulfil her pageant dreams and forces him to join a “Mr Perfect” competition. 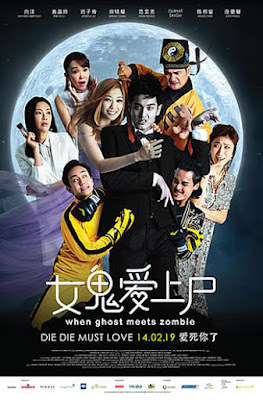 Cast : Nathan Hartono, Ferlyn G, Jesseca Liu, Jeremy Chan, Fann Wong. An enjoyable romantic comedy for those who wanted to have a fun time during this Valentine day. The movie title does not really give justice to the movie. Ghost and Zombie are two words that have already saturated the movie titles of the past. But this movie gave a bit of an unbelievable story. Even the star of unbelievable movie, Chen Tian Wen also appears in this movie as the village chief who take care of the zombies. For fans of Nathan Hartono, they get to enjoy his physique in the movie. For first time movie actor, he does act quite well. Also enjoy the beautiful song of washing by the river. Thailand is known for scary movie, well, the zombie was imported from Thailand to Singapore for authentic ghost movie, I suppose. With casts from husband-wife team, Jeremy and Jesseca Liu as supporting actors, this movie will definitely be a success. Don't think too much if you are a Singaporean or a permanent resident in Singapore, just buy the tickets and enjoy yourself during this Valentine Day. Lastly, be prepared to see many familiar faces of our movie and tv industry. SINGAPORE, 30 January 2019 – Within the cafeteria of DBS’ Exchange Hub in Singapore, straws can no longer be found. For Chinese New Year this year, the bank handed out red packets as usual but without any plastic wraps. Clients visiting DBS Treasures lounges here drink from glasses and recyclable paper cups, without a plastic bottle in sight. These are but a few examples of the steps DBS has taken in its drive to “Recycle more, Waste less”. Last year, in conjunction with the introduction of DBS’ “Live more, Bank less” ethos, the bank upped the ante on its commitment to becoming more socially conscious and launched the “Recycle more, Waste less” eco-movement, with a focus on encouraging Singaporeans to reduce their consumption of single-use plastics – a particularly pressing issue in Singapore. According to the Singapore Environment Council (SEC), Singaporeans use at least 1.76 billion plastic items a year, of which less than 20% is recycled. Singapore shoppers also take 820 million plastic bags from supermarkets every year. DBS’ call to “Recycle more, Waste less” has since resulted in more than 50,000 people pledging to adopt simple and easy steps in their daily lives – such as saying no to straws or ditching plastic bags for reusable ones – that reduce their consumption of single-use plastics. 1. Changing procurement practices: DBS has drastically reduced its use and purchase of disposable plastic water bottles in Singapore, resulting in some 7.3 tons of plastic waste being saved every year. The bank also works with its tech vendor to reuse and reduce packaging for its electronic items, saving an estimated ton of plastic waste per year. This year, the bank also eliminated the use of plastic wraps for its red packets, avoiding 220 kg in plastic wastage. 2. Making it easier for employees to adopt sustainable practices: The bank has distributed 4,000 reusable bags (which fold easily to become tiny, zipped pouches), 2,000 Sporks (a hybrid metal cutlery tool shaped like a spoon and a fork at either end) and 2,500 sets of metal straws to help employees lead more eco-friendly lives. More than 1,300 employees have also pledged to an ongoing campaign to reduce their carbon footprint in 2019. 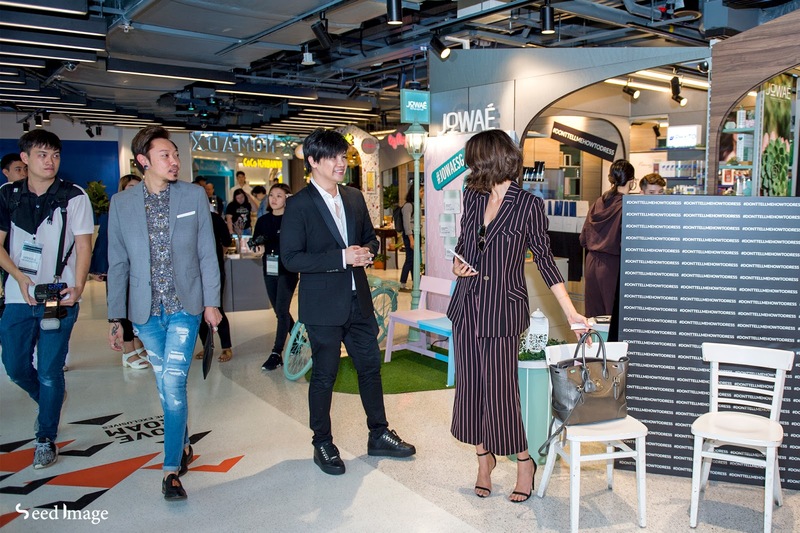 DBS also recently carried out a six-week campaign that saw some 200 staff volunteers (or “Eco-Heroes”) drive greater awareness on recycling among employees. The campaign has resulted in nearly 70% more trash (or 1,900 kg more) being sorted for recycling. 3. Helping Singaporeans to become more environmentally-conscious: The bank gave away 20,000 reusable water bottles last year to attendees of the DBS Marina Regatta and Social Enterprise Summit. 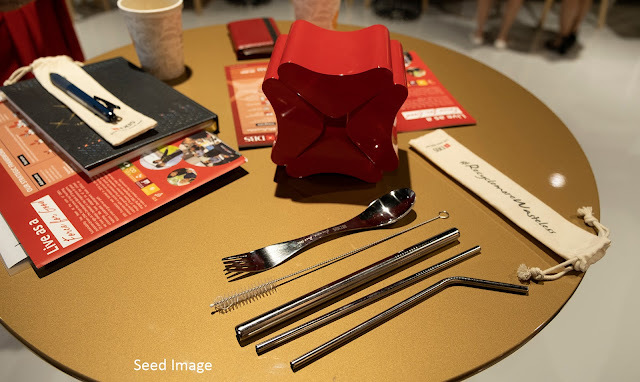 8,000 Sporks were also given out as part of a “pledge-for-Sporks” campaign across universities, food outlets and hawker centres in Singapore. 4. 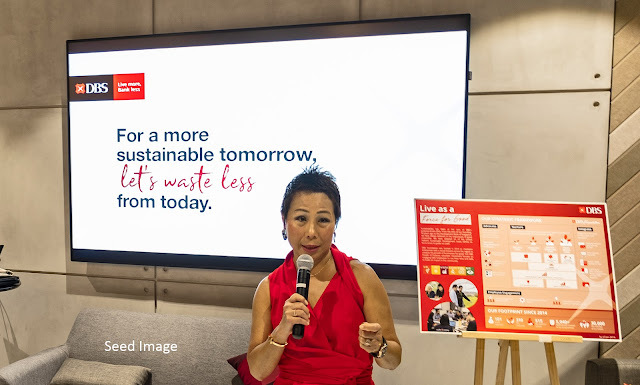 Working together with like-minded partners: In December 2018, DBS partnered the Singapore Environment Council (SEC) to jointly launch the ‘One Less Plastic’ national campaign with four leading supermarket chains – Dairy Farm Singapore Group, NTUC FairPrice, Prime Group and Sheng Siong – to encourage the use of reusable bags among supermarket shoppers. To date, some 30,000 reusable bags have been distributed through the partnership. Today also sees the launch of the DBS Sparks Studio, located at the bank’s headquarters in the Marina Bay Financial Centre district. Designed flexibly as a “studio by day, communal hub by night”, DBS’ new in-house content studio will also serve as an interactive space for communities – which includes social enterprises supported by DBS Foundation, interest groups within the bank, as well as public interest groups – where they can gather, network, organise or attend events. DBS’ green initiatives are part of the bank’s commitment to sustainable development. It was the first Singapore bank to be included as an index constituent of the FTSE4Good Global Index, a global sustainability index. The bank is also the first Asian bank and first Singapore company to join global renewable energy initiative RE100. DBS has pledged to power 100% of its Singapore operations using renewable energy by 2030. As part of this commitment, the bank installed 1,200 solar panels at its office buildings in Changi Business Park. Today, 40% of DBS’ total energy consumption in Singapore comes from renewable sources. 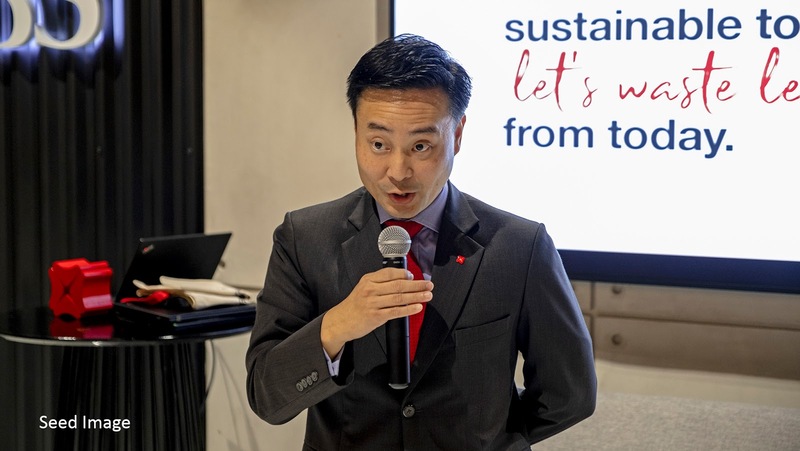 In 2017, DBS launched Singapore's first green bond by a financial institution and helped to promote green ﬁnance through the issuance of a USD 500 million green bond. In the same year, DBS was also the sole bookrunner for the first green bond by a Singapore company – City Developments’ SGD 100 million green bond. To find out more about DBS’ “Recycle more, Waste less” eco-movement and the bank’s other sustainability initiatives, visit go.dbs.com/recyclemorewasteless. 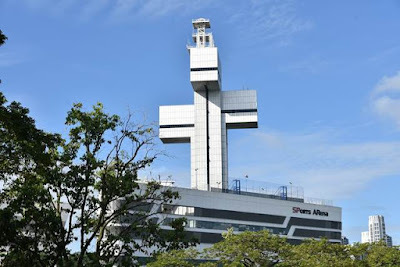 Singapore, 17 January 2019 – Singtel, Ericsson and Singapore Polytechnic (SP) today opened the country’s first live 5G facility at SP’s Dover Road campus. 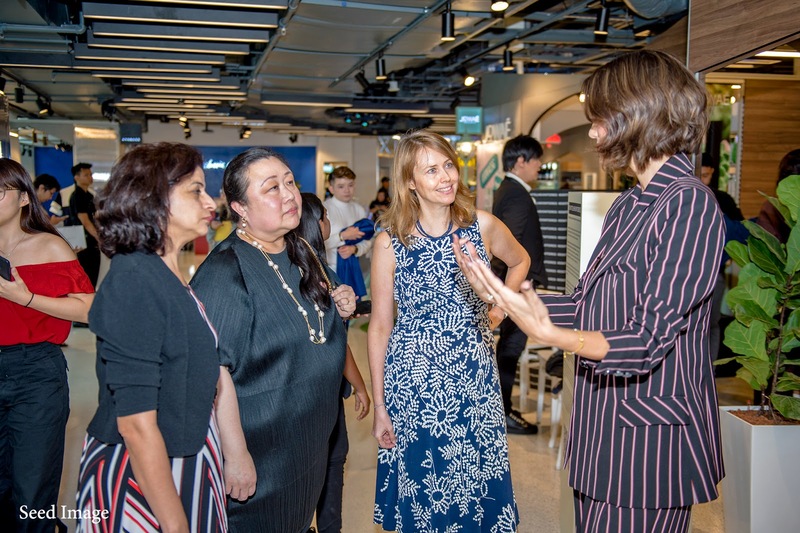 The facility, named 5G Garage, is connected to Singtel’s latest pilot 5G network located at Ayer Rajah and runs on 3.5GHz trial spectrum granted by the Info-communications Media Development Authority (IMDA). 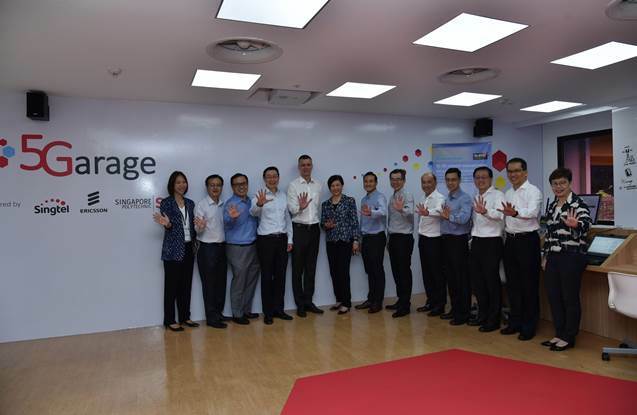 Conceptualised by Singtel and Ericsson, 5G Garage will serve as a training centre, test bed and ideation lab to develop Singapore’s 5G ecosystem and drive the adoption of 5G by enterprises in their digital transformations. According to the latest Ericsson Mobility Report, 5G is slated to be the fastest generation of cellular technology to be rolled out on a global scale. With ultra-fast connectivity speeds and low latency rates, 5G is set to transform industries such as transportation, logistics, healthcare and manufacturing, and enable a future of smart cities, autonomous vehicles and Artificial Intelligence. Build and operate a 5G facility where enterprises can develop and test 5G solution. Co-develop 5G solutions relevant to industries such as transportation, logistics, healthcare and manufacturing. Develop and deliver 5G wireless technology curriculum for the SP’s School of Electrical and Electronic Engineering. As part of the collaboration, around 250 final-year students from the Diploma in Electrical & Electronic Engineering and Diploma in Computer Engineering will learn about 5G wireless technology and how to harness and apply it as part of their coursework. There will also be technology transfer from Singtel and Ericsson 5G experts to SP staff and students, through train-the-trainers, technical content sharing and advice on industry applications. Additionally, SP students in the Singtel Engineering Cadet Scholarship Programme will also have the opportunity to take up internships in the 5G Garage and develop solutions for real-life challenges. 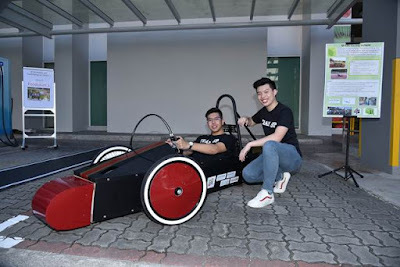 Three SP Engineering student projects - SP Secure drone system, SP Driverless and Electrifying Car, and Pipe Climbing Robot were selected for 5G development. They were featured during the 5G Garage opening event, with students presenting their projects to over 100 guests. Local SME partners, Cloudzen and H3Dynamics, also showcased their innovations enhanced with 5G connectivity. Cloudzen demonstrated how their Cloud-based Entertainment Platform can deliver a seamless gaming experience and H3Dynamics performed real-time video analytics on a drone flight in a building façade and security surveillance use case. 5G Garage is the latest project in Singtel and Ericsson’s 5G Centre of Excellence programme which focuses on upgrading of employees’ skills, technology demonstrations, live field trials and collaborations with educational institutions. 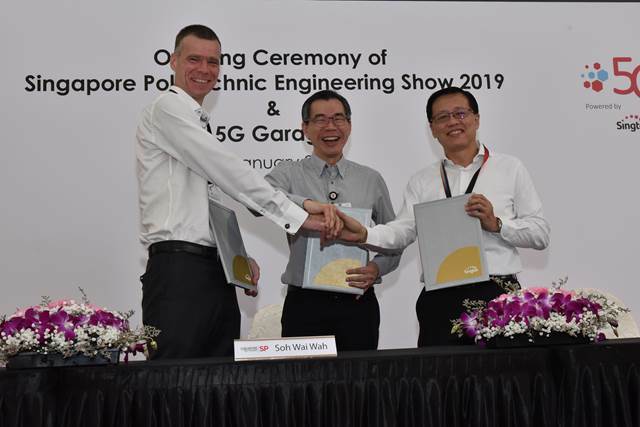 Last November, Singtel and Ericsson made Singapore’s first 5G data call over their 5G pilot network at one-north. Singapore Polytechnic (SP) Secure is an integrated security system using a fleet of four drones. The objective is to develop a fully autonomous surveillance system, integrating different drones that can be used to monitor intruders across different environments, ranging from on-ground to underwater situations. Equipped with cameras, these drones can transmit live videos as well as “communicate” and collaborate with other security drones. The drones are connected to a surveillance system that allows security personnel to monitor and react in real time. Drones with 5G capabilities will benefit from enhanced connectivity, high bandwidth and lower latency. This will lead to a greater precision in manoeuvring, allow for videos to be taken beyond line of sight as well as high definition video to be streamed to backend servers for data processing, facial recognition and intruder-identification. This system is an example of a SMART Campus initiative to ensure that the grounds are safer for students and staff. SPDEC is an autonomous driverless vehicle that can move around the SP campus without any human intervention. Rides are hailed via a smartphone and fares are paid using cryptocurrency. The SPDEC is equipped with sensors to capture all surrounding scenarios, allowing for image recognition and classification, application of machine-learning to differentiate these scenarios as well as path planning. No driver, no pedal. Just seats and screens. This is what riders will see when they get into SPDEC, where the ride is to be enjoyed as experience, rather than a way to get from point A to point B. With 5G connectivity, real-time video can be streamed to the cloud for data analysis, leading to “intelligent” decision-making for collision-avoidance as well as speed control optimisation. Singapore Polytechnic has designed a pipe-climbing robot to replace humans when performing the visual inspection of quay cranes at ports, to improve safety and reliability. As cranes are built with large iron pipes of varying sizes, this robot uses magnetic wheels to attach itself onto the metal pipes and can be controlled to traverse along or around the pipe using Radio Control. Equipped with a wireless camera system that can pan and tilt, this 7-kg robot is able to provide a live feed to the user enabling the user to view additional areas around the pipe via a mobile app. With 5G connectivity, high data bandwidth coupled with low latency would provide for a seamless, reliable and accurate control of the robot. In addition, the quality of the video transmitted can be enhanced to HD Quality, allowing for details of the pipe surface to be seen without any time lag. Using Virtual Reality (VR), this project aims to train process and maintenance engineers to handle different incident scenarios that may occur in potentially hazardous industrial environments. One example could be the simulation of a gas leak at a process plant. Using a VR headset and controllers, engineers are trained to locate the leak through the experience of immersive technologies. Once the leak has been located, they are able to visualise the problem and given instructions to help stop the gas leakage. 5G connection will provide for data streaming in order for intensive data analysis to be offloaded to the Cloud. This will reduce lag time, improve real-time response rates and allow for high-quality graphics to be downloaded instantly, greatly enhancing the user-training experience. H3 Dynamics is a Small and Medium Enterprise (SME) based in Singapore, with recent expansion and localised partnerships overseas. Founded in 2015, H3 Dynamics created a proprietary self-sustaining tele-robotics platform as a fully integrated solution, where autonomous drones scan fields and send imagery to the cloud for processing and producing data insights which are summarised into ready-to-use reports for decision-makers. 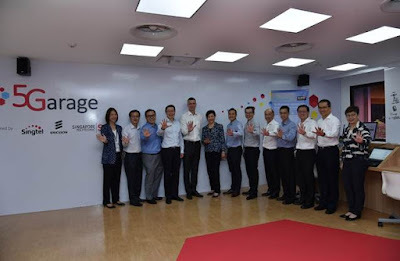 H3 Dynamics conducted a 5G video live-streaming demonstration from an autonomous drone camera into a Virtual Command Centre at the 5G Garage, leveraging 5G connectivity provided by Singtel and Ericsson. 5G connectivity will allow for the transmission of terabytes of data in minutes and 4K video downloads in seconds, accelerating digital transformation as well as the deployment of advanced automation technologies. Cloudzen is a Singapore-based Small and Medium Enterprise (SME) specialising in cloud gaming platforms. Founded in 2015, Cloudzen is developing GameCloud, a cloud gaming and mobile entertainment platform that provides G.O.D (Games On Demand). GameCloud brings AAA games (high resolution and complex games requiring more than 100G of storage capacity) to mobile devices through game-streaming technology. Gamers can now play AAA games on mobiles instantly, eliminating the need for users to be desk-bound and the hassle of downloads. At 5G Garage,Cloudzen played AAA games to demonstrate the benefits of 5G connectivity for game- streaming. With higher speeds and lower latency, 5G technology will greatly enhance GameCloud, allowing gamers to play high-quality 3D graphics games with shorter loading time of game graphics as well as overall improved responsiveness.